The S&P 500 is up 8% since the early November low and up 13% since the middle of 2016, and that has made it even tougher to find any stocks that still are priced at truly palatable levels. Not even many dividend stocks — which have been suppressed thanks to the prospect of rising interest rates — feel like they’re affordable. Certainly not ones with lofty yields. Indeed, with the S&P 500 sporting a trailing price-to-earnings ratio of 20.5 and an average dividend yield of 2%, the market just feels overbought and overvalued. Not every stock has reached eye-popping prices or valuations though. Indeed, for investors willing to look hard enough (or to keep reading), plenty of dividend stocks still are worth buying at their current levels, and plenty of value stocks still offer real value. With that as the backdrop, here’s a closer look at the market’s most buyable high-yield dividend stocks — names that arguably have more upside ahead than downside risk. With each passing day, it seems the endeavor to acquire Yahoo! Inc. (NASDAQ:YHOO) seems increasingly ill-advised. Indeed, there are some who feel Verizon Communications Inc. (NYSE:VZ) should simply walk away from the deal, as Yahoo may end up being too much of a repair project to bother with. The reality is, however, Verizon may actually need to take on such a project to continue building on its current quarterly dividend of 57 cents per share. Whatever the case, with a yield of well more than 4%, Verizon Communications remains one of the market’s premier dividend stocks. Throw in the fact that Yahoo recently reported an earnings beat, and Verizon may well turn the struggling web company into a decent cash cow again. Most analysts and experts were calling for “peak auto” to occur in late 2015 or early 2016. They clearly were early to the party — U.S. auto sales reached record levels in 2016. It’s a sentiment that doesn’t bode well for carmaker General Motors Company (NYSE:GM). Yet GM shares have already more than priced in a worst-case scenario. The stock has been stagnant since the beginning of 2014, but revenue as well as earnings have continued to grow. The trailing P/E ratio has been whittled down to a mere 4.2, and the dividend yield has been pumped up to a healthy 4.1%. The sellers simply overshot with General Motors. Earnings could be cut by two-thirds and the dividend could be cut in half, and the bullish argument that GM remains one of the market’s most compelling value stocks would still hold. Aircastle Limited (NYSE:AYR) is one of the least recognizable names on this list of 10 dividend stocks to consider, but still worthy of a mention all the same. Aircastle Limited “acquires, leases and sells commercial jet aircraft to airlines throughout the world.” In other words, it’s a broker and a financier to the airline industry, facilitating the acquisition of aircraft for companies that can’t or don’t want to pay cash for their jets. That seems like a risky business, and there’s your edge. While the air transportation industry is and will continue to be volatile, Aircastle Limited has been remarkably consistent in terms of maintaining profitability and driving revenue growth. Even when things were a bit hairy 2012 and 2013, the company managed to eke out a profit. And, over the course of the past nine years, Aircastle has mustered revenue growth in six of them, and produced income growth in four of them. That might not be great, but it’s good, and what the company lacks in red-hot growth, it more than makes up for inconsistency and reliability. That’s what makes it one of the better — even if overlooked — dividend stocks available to investors today. Just as compelling (if not more so) is the fact that the current yield of 4.6% should be relatively easy to sustain. For the past couple of years, Aircastle Limited has earned about 50% more than it dished out in dividends, so there’s plenty of wiggle room for this organization that largely exists to make quarterly payments to shareholders. Every good list of worthy dividend stocks likely will include at least one utility stock. This list is no exception. There is a bit of irony in adding Southern Co (NYSE:SO) to a group of dividend stocks that are supposed to be undervalued by virtue of them not participating in the recent rally. The irony is that SO shares are trading at a trailing P/E of 18; that’s more expensive than some of the top names in the technology sector. In other words, Southern Company can be categorized with most value stocks at this time. As far as dividends go, though, the yield of 4.6% is not only healthy, but dependable. 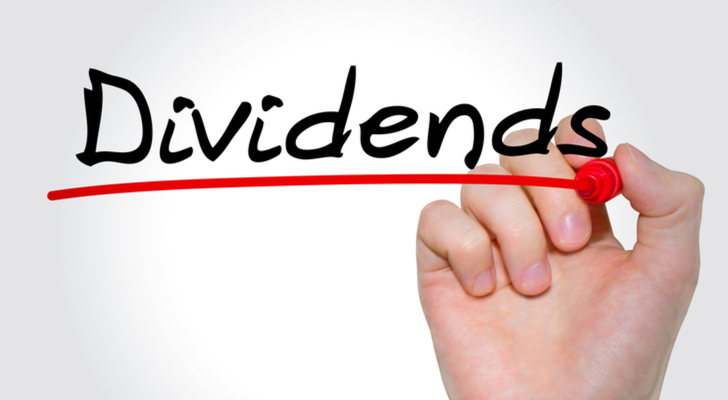 In the same sense that any portfolio of dividend stocks should arguably include at least one at utility name, any such list of income-driving equities should also include one of the many income-generating oil and gas pipeline operators. Tallgrass Energy Partners LP (NYSE:TEP) is one of the best names of the bunch, not despite being an off-the-radar idea, but specifically because it’s off the radar. TEP presently yields 6.5%… a payout you won’t find and in many places for very long. It’s been growing that payout too, from 30 cents per quarter in October 2013 to 79 cents per share as of October of last year. More of the same is likely to be on the way too, as the company has been in acquisition mode for some time, and was still in that mode earlier this month when it announced the acquisition of Tallgrass Terminals and Tallgrass NatGas Operator. That news follows the announcement of a deal with Rockies Express Pipeline to supply natural gas to 20 different delivery points between Ohio and Missouri. Point being, Tallgrass Energy Partners LP has proven itself to be serious about growing the payout. While the prospect of rising interest rates the U.S. has put a great deal of focus on U.S. banks as the key beneficiaries, domestic banks are the only ones that will benefit from a hawkish Federal Reserve. 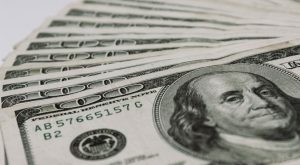 Foreign banks are also enjoying rising interest rates and their respective territories, as their governing bodies mirror the Fed’s intended action and rhetoric. To that end, one only has to look slightly north to find a compelling dividend name from the banking industry… Canadian Imperial Bank of Commerce (USA) (NYSE:CM). It’s currently paying 4.3%, and it has a track record of rising dividends. If nothing else, it couldn’t hurt to add a little geographic diversity to a portfolio of dividend stocks. Just for the record, though Verizon Communications and AT&T Inc. (NYSE:T) may both be on this deeper look at undervalued dividend stocks, it’s probably not necessary or even wise to own both. Choose one or the other, even though both are solid blue-chip holdings. The key differentiator? Well, Verizon obviously has the Yahoo deal on its plate, which could be good or bad, but we’ll definitely make an impact on the company’s fiscal future. AT&T, meanwhile is still trying to figure out how to make the most out of its DirecTV acquisition, and is still working on its acquisition of Time Warner Inc (NYSE:TWX). Each company’s ultimate intent may look different than the other, but the two are actually went down the same path. That is, they’re aiming to build a multichannel, entertainment and communication venue. (The buzz is that Verizon is also mulling the acquisition of a major cable television provider.) For investors, choosing between the two is primarily a choice between which configuration of acquisitions makes the most sense and allows for the easiest integration. In the meantime, AT&T yields 4.7%, and has a long, steady history of growing that payment. BGC Partners, Inc. (NASDAQ:BGCP) is another one of those names that most people have never heard of, but quickly come to know and like once they learn more about it. BGC Partners is primarily an investment brokerage firm, but also handles a great number of complicated back-office and clearing services that many larger and smaller firms prefer to outsource. It also has a healthy real estate management and consulting business. Where BGC Partners can really set itself apart from bigger players is leveraging its small size and technological prowess. For instance, in November it added foreign exchange derivatives and interest rate derivatives caps and floors to its so-called Capitalab platform, and in December it acquired smaller brokerage firm Sunrise Brokers … a deal that will integrate well with BGC’s existing nimble operation and actually make a positive dent in the top and bottom line. The current dividend yield of nearly 6% makes it one of the top-paying names among the 10 companies in focus today. And the current quarterly payout of 16 cents per share — already rising since 2015 — could really ramp up if Trump’s policies take hold and we see two or three more rate hikes this year. Wait a minute. Is this the same Cato Corp (NYSE:CATO) that sells women’s clothing in malls (mostly strip malls and shopping centers) across the better part of the United States? Yep. it’s the same one. The follow-up question: Aren’t all retailers getting thrashed by e-commerce as well as a growing disinterest in fashion? Yep, and Cato doesn’t exactly seem immune to that trend. Same store sales were 10% lower in November, and off by 12% in December. So what, pray tell, makes CATO a name worth owning now? Remember, this is a look at undervalued dividend stocks, and as rough as things have been for the retailer of late, the sellers still were a bit overzealous with their punishment of the stock. It’s down 41% for the past two years, and Cato’s revenue and income had actually held up until last quarter. There’s a chance that lull was just a streak of bad luck. The yield of 4.9% certainly makes it much easier to take that chance, anyway … a chance on a retailer that for some reason has largely managed to sidestep the impact of online apparel shopping. Finally, another unfamiliar name for most investors: Triangle Capital Corporation (NYSE:TCAP). Triangle Capital’s primary business is providing mezzanine financing to mid-sized companies. It offers a service that the local community bank can’t facilitate, and that the mega-banks don’t want to fool with. Those are specialty purpose loans between $5 million and $35 million. There’s something of a premium for such loans, and Triangle Capital makes the most of them by limiting itself to relatively established and reasonably profitable companies that won’t struggle to make their loan payments. This stability is readily evident in the company’s fiscal history. It’s consistently profitable, and consistently pays a respectable dividend. It’s currently yielding 9.8%, making it the best payer of the dividend stocks under scrutiny within this list. Now, those who know the Triangle Capital story well will know the business development company has actually paid out more than it’s earned for the past couple of years, leading to questions of sustainability. Those are fair questions, too. The answer is, if the economy is truly on the mend and ready to grow under a Trump presidency, that plays right into the hand Triangle Capital is holding. See, that rebound will largely be driven by the small cap companies Triangle aims to serve. It’s still a risk to be sure, but between the yield and the fact that TCAP shares are down more than 30% for the past three years, it may not be a bad bet. The selling appears to have at least turned into stagnation for the past year, which is often how turnarounds start. At the very least, you could “rent” Triangle Capital for a while and reap some dividends from it while the market figures out what it really thinks of the company. As of this writing, James Brumley held a position in AT&T. He did not hold a position in any of the other aforementioned securities. Article printed from InvestorPlace Media, https://investorplace.com/2017/01/10-high-yield-dividend-stocks-still-bargains/.